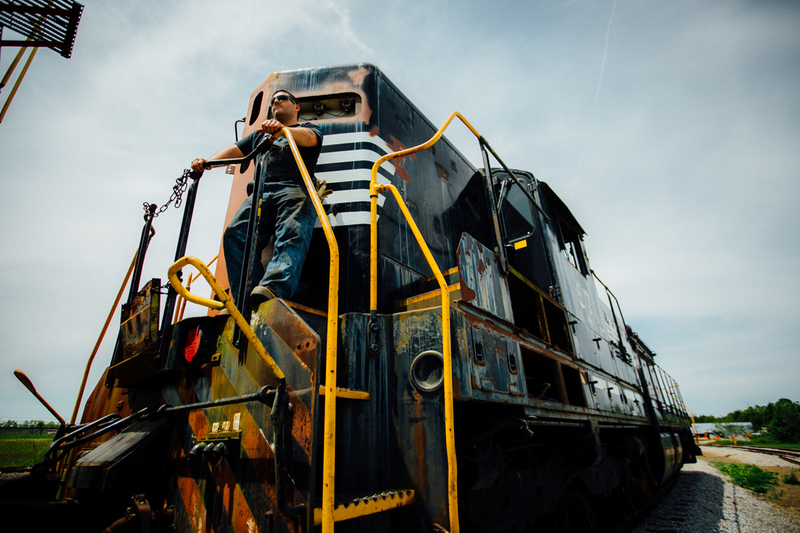 Historic locomotive restoration earns grant from Steel Dynamics, Inc.
Steel Dynamics, Inc. (SDI) has donated $3,000 to the Fort Wayne Railroad Historical Society, Inc. (FWRHS) for Project 358, an effort to restore its 1950s diesel locomotive, Nickel Plate Road no. 358.The funds will be allocated toward electrical cable, paint, generators or other locomotive parts in need of refurbishment. One of the country’s largest producers of continuous welded rail, Steel Dynamics has previously helped underwrite the Society’s feasibility studies for its planned Headwaters Junction project. 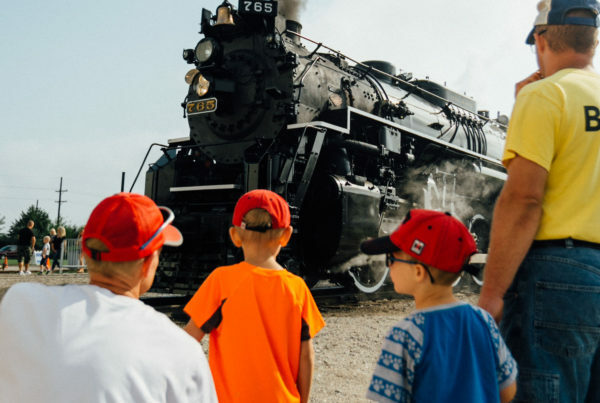 Built in 1957, the SD9 type locomotive helped replace and retire the Nickel Plate Road’s steam locomotive fleet, including the Society’s own 1940s steam locomotive no. 765. In 2011, it was donated to the FWRHS by Norfolk Southern. Nickel Plate Road no. 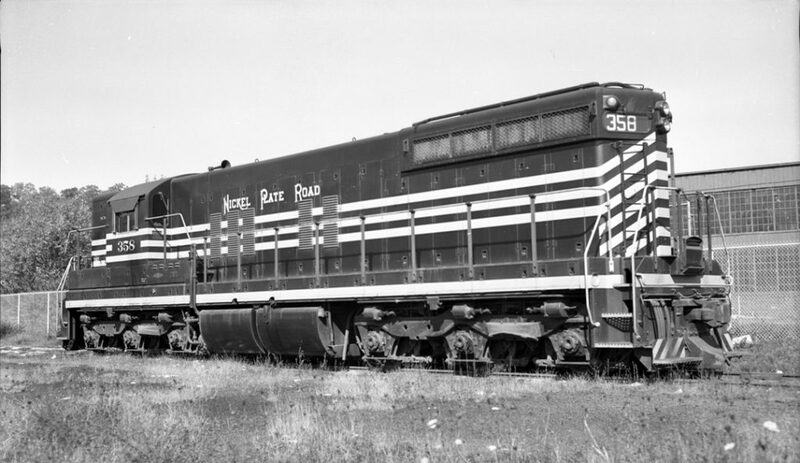 358 its original black and yellow paint scheme in Zanesville, Ohio. 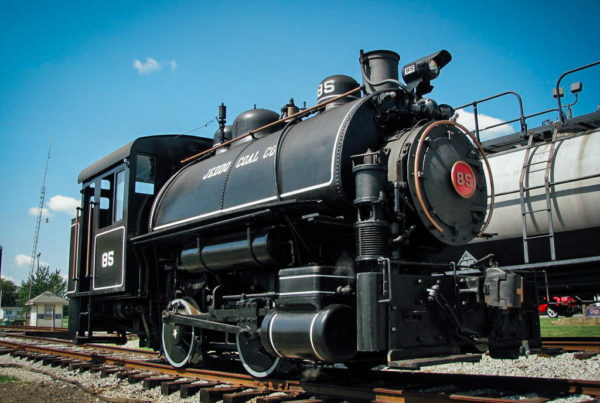 Once restored to operating condition, the 358 will provide additional motive power for events and excursions and create a striking, interactive mobile historical display. The estimated total cost for the restoration is approximately $35,000. In addition to donations, supporters can also purchase Project 358 shirts through the Society’s giftstore, which feature original artwork from the Nickel Plate Road. 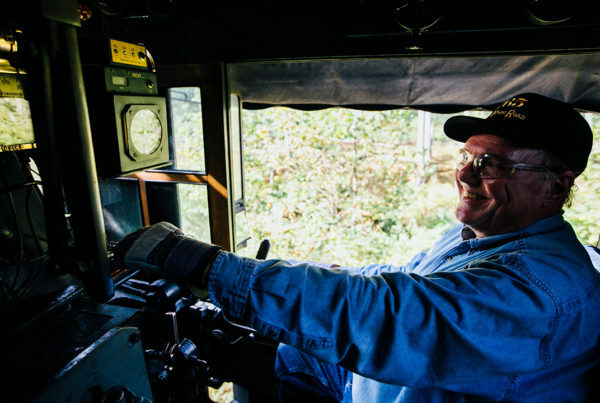 “If all the parts and materials were available today, the locomotive would be operational, legally compliant and cosmetically restored in 8 weeks,” explained Lantz. The 358 will be on display at the Society’s upcoming Open House on August 18th-20th. Interested volunteers or donors can contact Chris Lantz at lantz@fwrhs.org. Volunteer sessions are held nearly every weekend. A full parts list and more information about the project is available on the Project 358 page.